Mr Iwasaki Jr has come close to perfection with this tea. This very special, hand-picked sencha is made from the leaves of the Yabukita cultivar, the most widely grown tea bush cultivar in Japan. 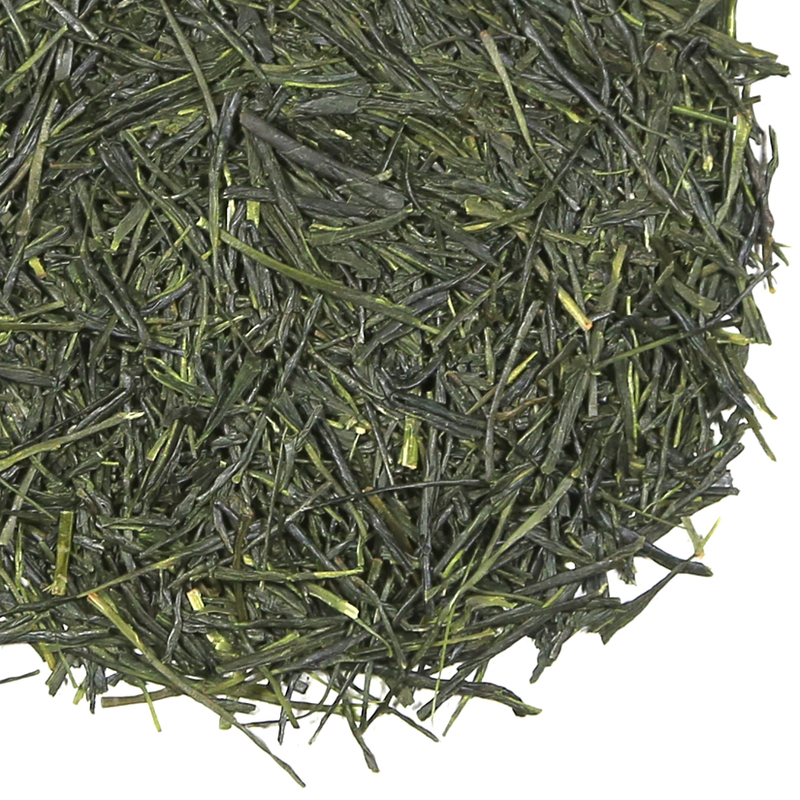 But very little of the leaf for Sencha is hand-picked these days. As this leaf shows, it is very different to prepare tea with leaf that has been hand-picked as opposed to the normal Japanese method of ‘shearing’. The many elements of terroir such as soil, climate, etc, the level of steaming, and the skill of the tea farmer during manufacture come into play to make any premium tea unique, however when the tea maker is starting with hand-picked, single-cultivar leaf the bar is raised significantly. 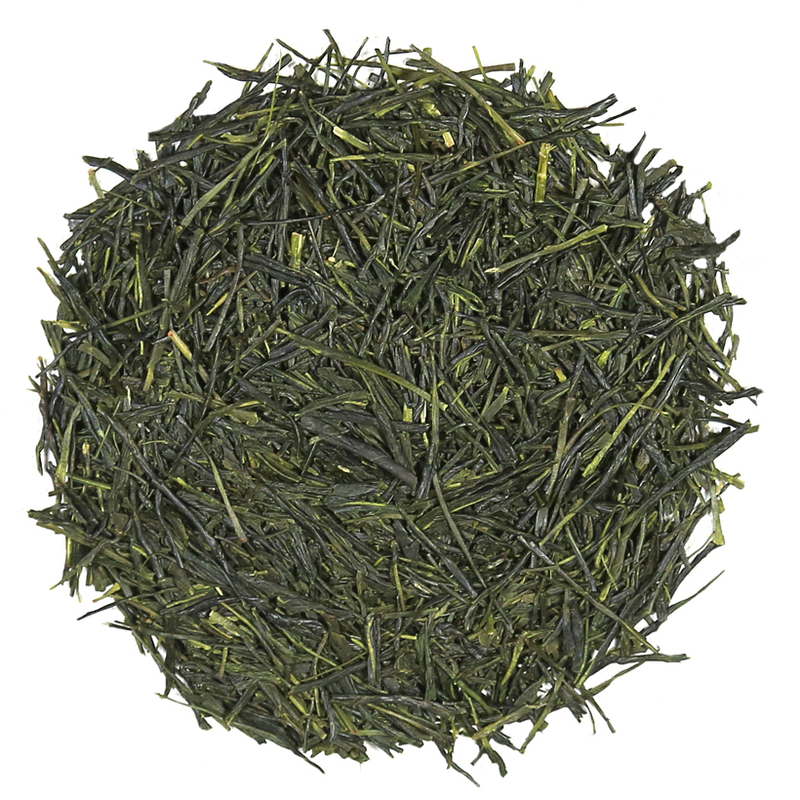 This is a carefully-made sencha with a clean, fresh flavor that is ever-so-pleasantly ‘vegetal’ without any sharpness. This tea is a beautiful, even, dark green color. Very large, uniformly-full leaves show off the hand-picking and expert handling during manufacture. The tea liquor is pale yellow tinged green, which shows a high amino acid content. The fragrance is fresh and lively – and brings the mind back to a sparkling early spring morning. While Yabukita varietal often shows moderate body, this hand-picked leaf has a full body that is deep and smooth. The maturity of the flavor of this batch is outstanding, and we are more than pleased with Iwasaki Jr’s efforts at tea-making again this year. He has crafted a gem! Those who enjoy Japanese sencha understand that Sencha is traditionally a blended tea and that the core elements of terroir including tea garden location and tea bush cultivar conspire with the factors of steaming and rolling and firing during manufacture to create the the many varied tastes of each particular sencha. However these elements are brought together in most sencha manufacture by the split-second choices made by the tea blender/buyers while tasting samples of ‘aracha’ at the tea market because it is normally all about the blending of several different lots of leaf. When a tea maker decides to craft his tea from a varietal leaf, everything changes. Local tea bush cultivars can be ‘heirloom’ varieties while others are new cultivars that have been developed by one of the Japanese government’s tea research institutes or by educated and experienced tea farmers such as Mr. Iwasaki and his son. This hand-picked leaf is from a pluck of 100% Yabukita cultivar, so is much more challenging to manufacture. Instead of being able to adjust for the elements that it has or does not show by blending various different batches of leaf, the goal is to have the leaf be as perfect as possible off the bush and then during the steaming, preparation and manufacture the goal is to bring out a balanced and unique overall flavor profile. This tea does that incredibly well. One interesting aspect of this tea is that it is made with leaf picked from bushes that received damage not too many years ago and have been carefully tended by Iwasaki Jr. His goal was to revive the bushes back to their former glory and maintain the integrity of this Yabukita stock in the family gardens in Ryougouchi. We think that he has succeeded masterfully. For this season (2018) Mr Iwasaki, one of the original ‘Four Musketeers’ of SOTFU, wanted to show us examples of the current work of his son who is just now really becoming a masterful tea farmer. Known to his friends and colleagues as “Junior”, he is following in his father’s footsteps and will at some point be in charge of the tea garden.